One of Against Me! 's best. EU pressing on Xtra Mile. 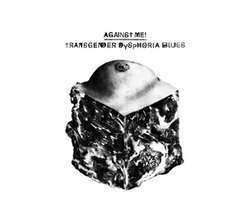 "Recorded at Studio 606, Earth Sound Studio, Motor Studio, Total Treble Studio and mixed by Billy Bush, "Transgender Dyphoria Blues" is an insightful and highly provocative 10-song offering written by frontwoman Laura Jane Grace, whose material examines one's grappling with gender dysphoria, the loss of a young friend and pure self discover, as well as love and ultimate acceptance. Featuring Grace's signature, explicit songwriting and dominant vocals, the album also features longtime guitarist/vocalist James Bowman, drummer Atom Willard and Fat Mike of NOFX on bass for "FUCKMYLIFE666" and "Unconditional Love.""